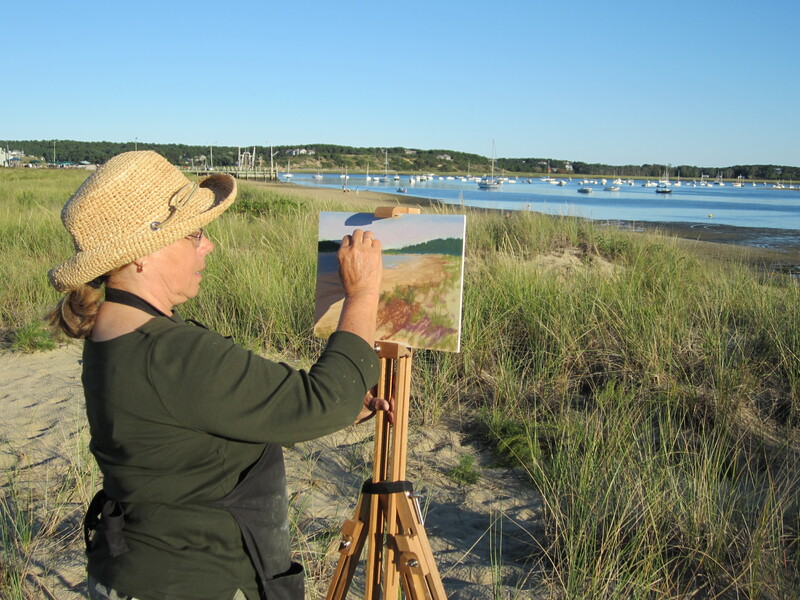 With a portable easel and my pastel painting gear packed in the trunk of our rental car it was off to explore the beaches and harbors of MA and Cape Cod in August. 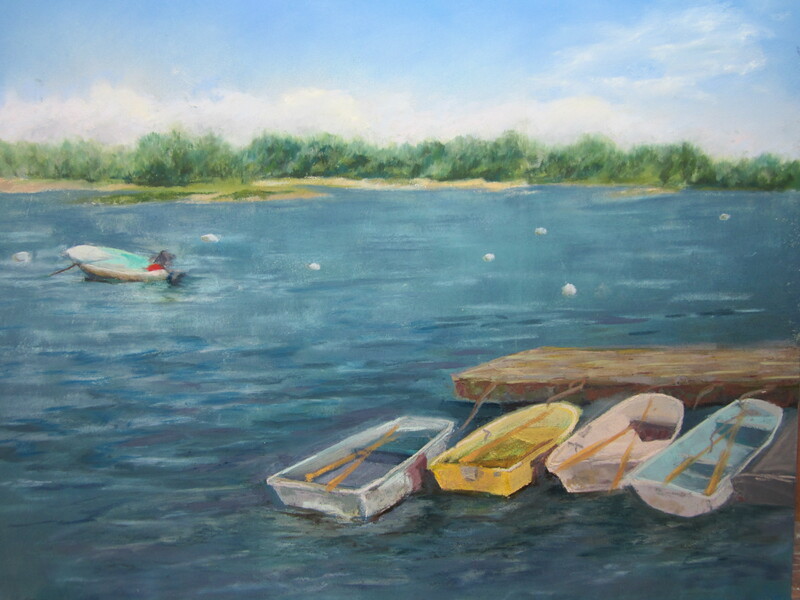 It wasn’t easy to set aside time to paint between visits from family and friends and enjoying the Cape. I found that combining painting and a lunch or dinner of that famous seafood was the ticket. 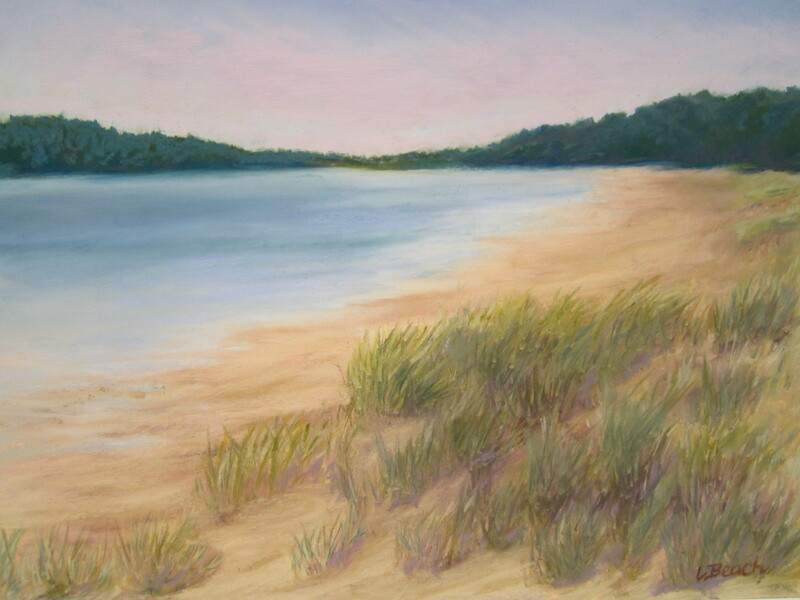 Water and sandy beaches were a theme – Cohasset Harbor, Hingham Harbor, Rock Harbor Beach in Orleans, MA, and Mayo Beach in Wellfleet were great painting spots. The changing light is always a challenge with painting “en plein air”, and the ebb and flow of the tides was another factor. South Street Gallery in Hingham, MA hosted a “Paint the Square” event in September and I was able to be included in this paint out and silent auction. 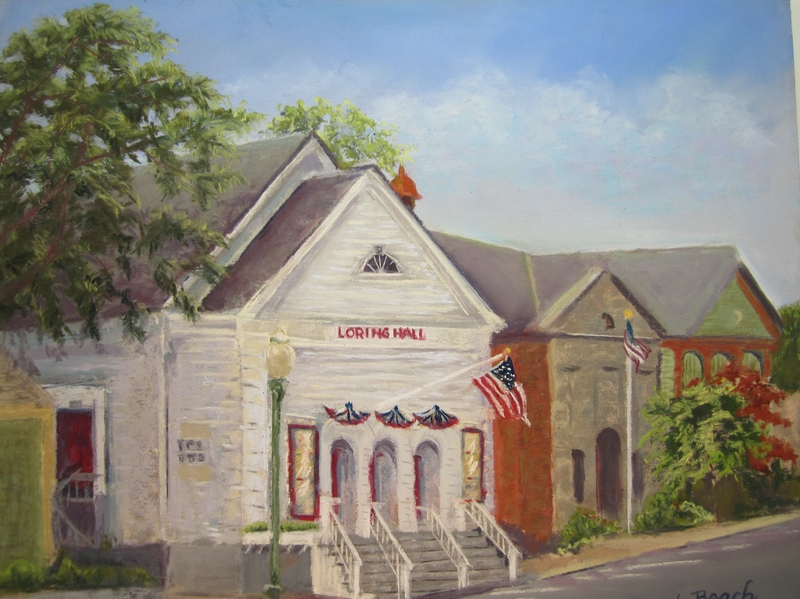 I had two paintings – “Harbor Home” of a Hingham Harbor scene and “Movie Date Tonight” of Loring Hall included in the show and auction. I am pleased that “Harbor Home” now has a new owner on the South Shore. South Street Gallery’s “Paint the Square” is on view through Sept.29.